After the huge success of Nannaku Prematho, NTR has moved on to his next project Janatha Garage. Shooting of this film will kick start from the 10th of this month in a specially laid set in Saradhi Studios, Hyderabad. We had already reported that Samantha will be cast as one of the leads and there is also a place for second heroine in the script. Latest update reveals that Nithya Menen has signed the dotted line now. Though her name was being heard from quite some time, there was no clarity whether she signed the project. 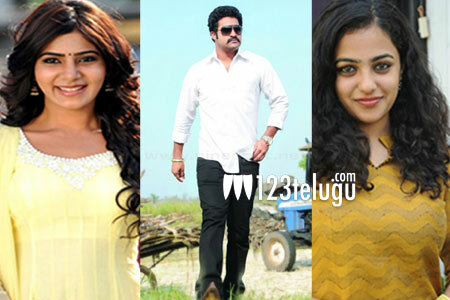 But latest update reveals that both these heroines are confirmed for the project which will be directed by Koratala Shiva.